Allow private ride sharing services like Uber to operate in Toronto, booked only through a smartphone app, with a $3.25 minimum fare, no maximum fares and “surge” peak-time pricing. Maintain requirements for taxis to have cameras, and flashing emergency lights, but not for Uber or other ride sharing services. City staff will study this issue and re-examine it in a year or so. Ensure Uber and taxis have insurance of at least $2 million on all drivers for bodily injury, death and damages to people or property. All UberX cars need to have some sort of signage to identify them as Uber drivers/cars. We see this in other larger American cities where the Uber vehicles may have a placard or a sign on the dash to indicate that they’re an Uber car. Uber cars need to have “all weather” tires in the winter time. Not winter tires!?!?! That’s an epic fail when it comes to safety, but this personal injury lawyer isn’t on Toronto City Counsel. What were they thinking with this one? They could have made a meaningful change but they opted not to. At a time when insurance companies are offering discounts to motorists for having winter tires, we see the City of Toronto dropping the ball on this issue. Prior to the regulation of Uber in the City of Toronto, we heard a lot from personal injury lawyers regarding insurance coverage (or lack thereof) for Uber drivers. The details of the mystery Uber car insurance policy were never really made known to the public other than coverage “existed” and drivers/passengers had nothing to worry about. Car insurance in Ontario is complicated to say the least. If you were involved in a car accident involving an Uber vehicle, those insurance loop holes would be significant. If you’re relying on your own coverage as a driver to protect you when you failed to disclose to your insurer that you’re operating your vehicle as an Uber driver for a commercial purpose; that’s grounds for an insurer to deny your claim for failing to disclose relevant information towards your insurability. The requirement for all Uber drivers to have at least $2 million dollars in liability insurance coverage is a solid law. Could it be better? Sure. Increasing that limit to $5 million might be more prudent because these vehicles are engaging in a commercial enterprise whereby they can be picking up a lot of passengers on a frequent basis. If there are 4 passengers plus a driver in a vehicle, that’s just $2 million dollars of coverage to go around for 5 people ($400,000/person which isn’t a heck of a lot). Still, having $2 million in coverage is certainly better than just $1 million, which is standard for non-commercial vehicles in Ontario. Still, I would have liked to have seen more in minimum coverage to ensure for greater consumer protection. I can ensure you that the last thing you would want to is be involved in a car accident involving an uninsured, or under insured Uber vehicle. The coverage dispute would be never ending. These are the sort of cases which insurance defence lawyer and insurers love to argue, appeal, and then appeal further. 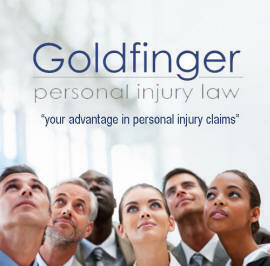 The injured accident victim would never see their settlement. I did like seeing that the City of Toronto wants to provide for more legitimate licensing/screening of Uber drivers. One of my greatest fears is summoning an Uber car, and the driver is a straight psycho path who shouldn’t be let alone in a vehicle with another person, let alone drive that person around to a destination (like their house), which they can later stalk at their leisure. The licensing will ensure for greater accountability for drivers, and perhaps weed out those who aren’t fit to drive. It’s this lawyer’s hope, that the passing of private ride sharing legislation finds a healthy medium to allow for services like Uber to operate, while at the same time, levelling the playing field so that hard working taxi drivers can earn a living.